Cory Jones, a 6-foot-5-inch pitcher with the Baltimore Orioles franchise, is the latest athlete to join the ranks of known Jewish ballplayers. The 26-year-old California native was plucked out of junior college by the St. Louis Cardinals in Round 5 of the 2012 amateur draft and given a $220,000 signing bonus. Jones shone in 2013, going 8-2 with a 2.04 ERA for the club’s Single-A team. Injuries have bedeviled him ever since, the biggest being a ligament problem that required Tommy John surgery. Baltimore’s front office wasn’t put off, however. The team nabbed Jones in the Triple-A phase of the 2015 Rule 5 draft. His most recent season was typically frustrating. 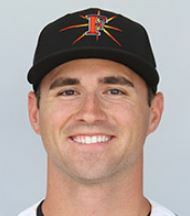 Jones played just two games for the Frederick Keys (High-A ) in 2017 before reinjuring his right shoulder. Four months later, he completed a seven-game rehab assignment with the Orioles’ rookie-league team, going 2-0 with a 1.93 ERA and giving up just 0.86 walks/hits per inning. Other Jewish prospects in Baltimore’s farm system include Zach Kapstein and Alex Katz, both of whom played for the Keys in 2017. Richard Bleier pitches for the Major League team. Please join us in welcoming Cory to the family, and follow him on Twitter.